The iPhone 6 and 6 Plus brought larger screens, quicker processors, and sharper rear cameras, than ever before to the party. However, as good as Apple’s phones are, they still can’t do it all, and in some situations they leave a little something to be desired. When you’re out in the wilderness, you need to bring the essentials with you. For many iPhone addicts, this means an external battery pack and a wireless speaker. Outdoor Tech’s Buckshot Pro 3-in-1 Bluetooth speaker takes it one step further by adding a flashlight and bike mount to the mix. This insane speaker is a rugged wireless speaker with an IPX5 water resistance rating that can take a hit and still boom out sound. You can also use the speaker as a speakerphone or microphone, if you need to make hands-free calls while hiking up a mountain or riding your bike on the trails. It’ll give you 10 hours of music playback on a charge, or you can use its battery power to charge your phone up while you’re on the go. 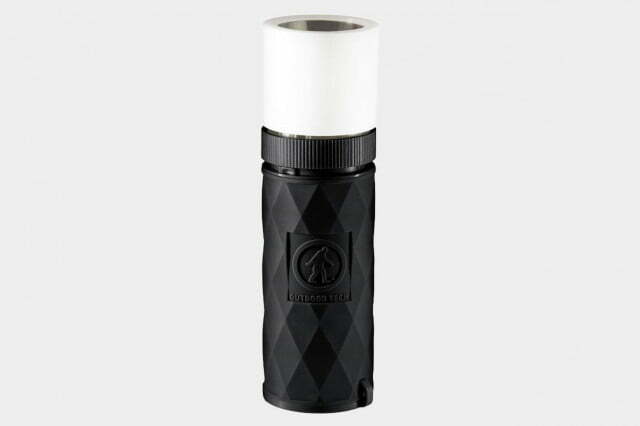 Should you get lost in the dark, it also works as a flashlight with a strobe feature for sending out a distress signal. It’s hard to imagine wanting anything more from a speaker priced under $50. 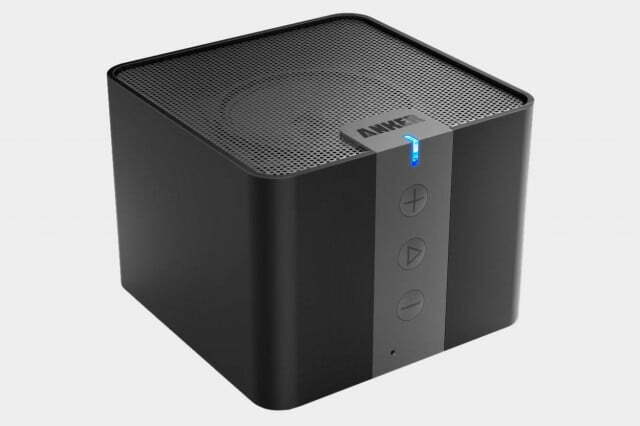 The Anker A7908 delivers robust sound quality at an affordable price, with natural overtones via a 2-inch speaker. 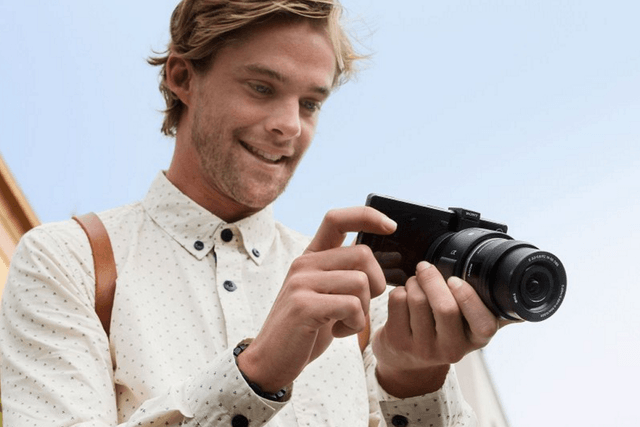 Capable of 20 hours of playback before needing a recharge, the Anker A7908 utilizes Bluetooth 4.0 and works with just about any smartphone, including the iPhone 6. Read our full review here. Monoprice’s battery pack solves the problem of having to stay in one place while you charge your phone. Just remember, you’ll have to use your Lightning cable to connect your iPhone 6 to the external battery. Despite housing a 2,600 mAh cell, the pack is roughly the size of a lipstick tube, and can hold enough power to fully charge your iPhone 6. An LED display also shows the amount of power left in the charger, while the integrated battery allows you to use the device as an LED flashlight. 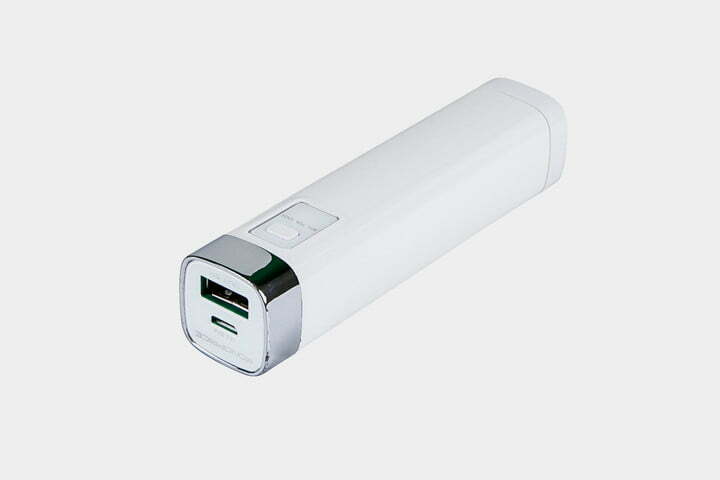 The compact charger is available in white, and comes with a USB A to USB micro-B cable that has a lifetime warranty attached.